22th March 2019 22:01 p.m. Novovoronezh – Unit No. 2 at the Novovoronezh Nuclear Power Plant II, equipped with the VVER-1200 reactor has been brought to minimum control power (MCP). Reaching MCP is considered as the final stage of the physical start-up procedure. Every stage has occurred on schedule and in compliance with all the safety regulations. In due course specialists will conduct a set of physical experiments on the neutronic characteristics of the reactor’s first fuel charge, as well as confirm the operational reliability of the reactor’s entire monitoring and safety systems. The physical start-up will be completed at Unit 2, following these experiments. The power unit will then be prepared for power start-up and connection to the grid – both planned for the end of 2019. 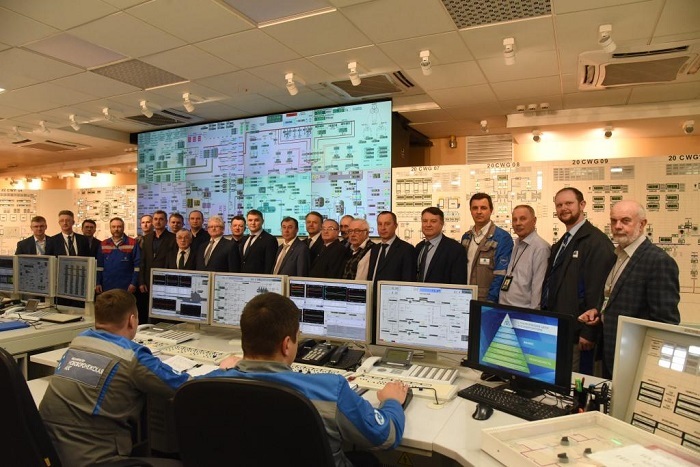 The launch of the reactor will bring the share of nuclear in the Central Russia’s electricity grid to 27% thus preventing over 4 million tonnes of GHG emissions every year and boosting the region’s economy.